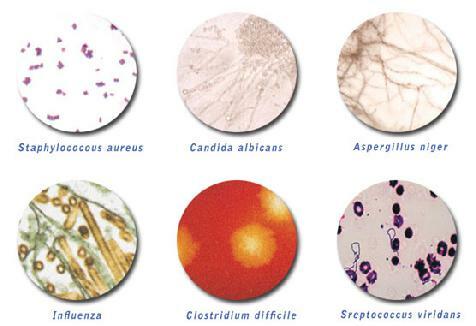 The most effective method of killing bacteria and odors. O3, (Ozone) also referred to as “Activated Oxygen” or “Tri-Oxygen” contains three atoms of oxygen, rather than the two atoms we normally breathe. Optimizing this natural gas with strong oxidizing properties, O3 opens up sports’ equipment fibers to penetrate dangerous bacteria. O3 kills germs 3200 times faster and is 150 times more powerful than chlorine bleach. 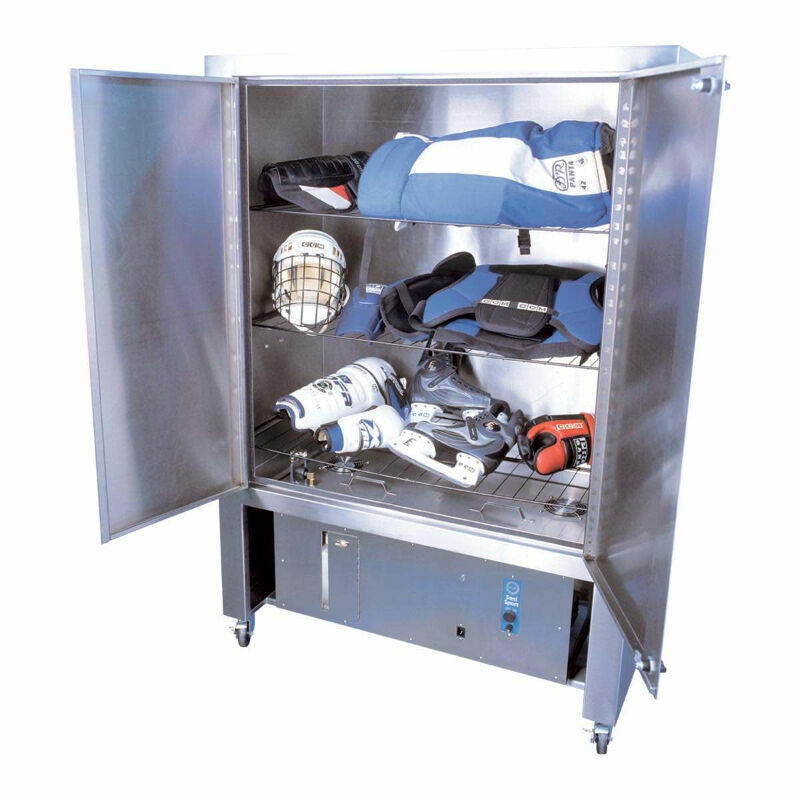 The O3 Process can be used to clean equipment for Hockey, Football, Lacrosse, Baseball, Figure Skating and more! 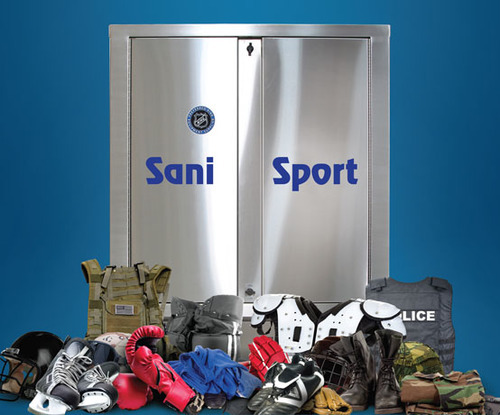 The Sani-Sport system is so good that is the choice of 27 NHL teams, 13 NFL Teams, 6 CFL Teams and most recently The Toronto Blue Jays. 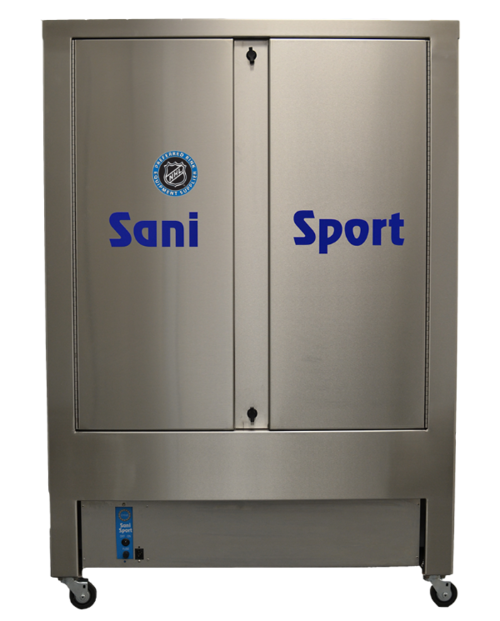 Simply put, it adds the piece of mind that you are looking for and it disinfects and removes harmful BACTERIA & ODORS in less than 15 minutes.